There has to be some sort of value exchange, they might complete your contact form with a specific question they want answered. They might like the content that you have published on your blog and want to receive more. They might enter their details in a chat widget to get a question answered. They might want to download a great looking ebook you are offering. 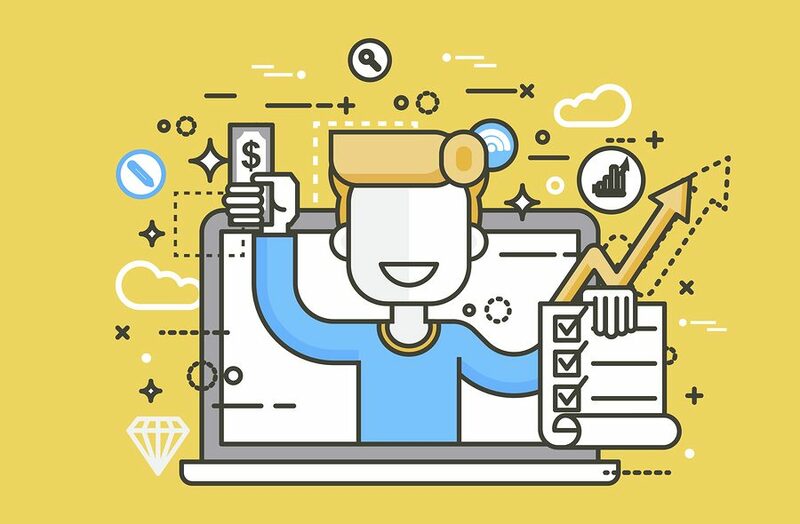 All of these situations are opportunities to convert visitors into leads. Unfortunately most websites aren't particularly good at converting visitors into leads. Simply because they fail to use this value exchange mechanism and offer attractive content. Landing pages are a great way to generate leads as that is exactly what they are designed to do. Also known as 'squeeze pages' they are created with the specific intention of getting a person to hand over their name and email address. They do this by offering access to something such as an ebook download that your visitor would want. When creating your landing page it is equally important to consider what your potential customers will value, and that is often something that will answer the questions they have. Helping them to solve their specific problem. 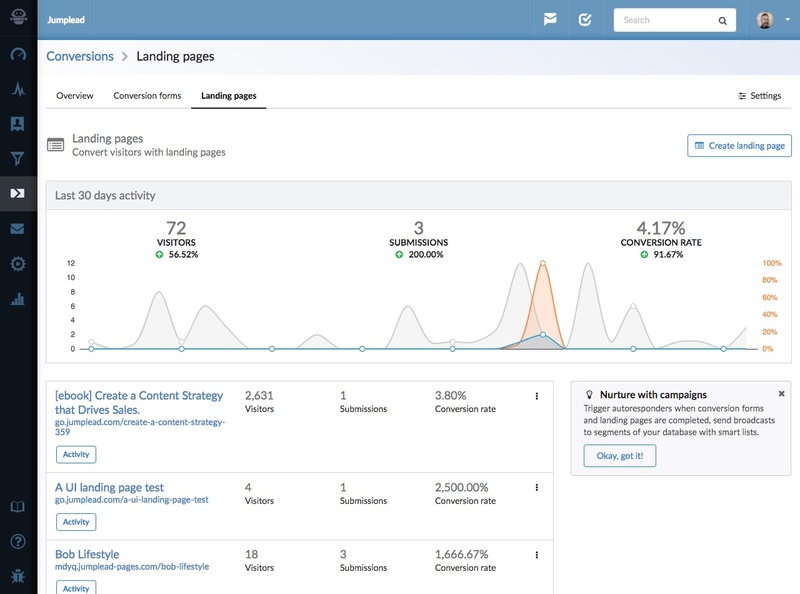 Using landing page software you can create multiple pages for your different content and offers, tracking how successful each one is. 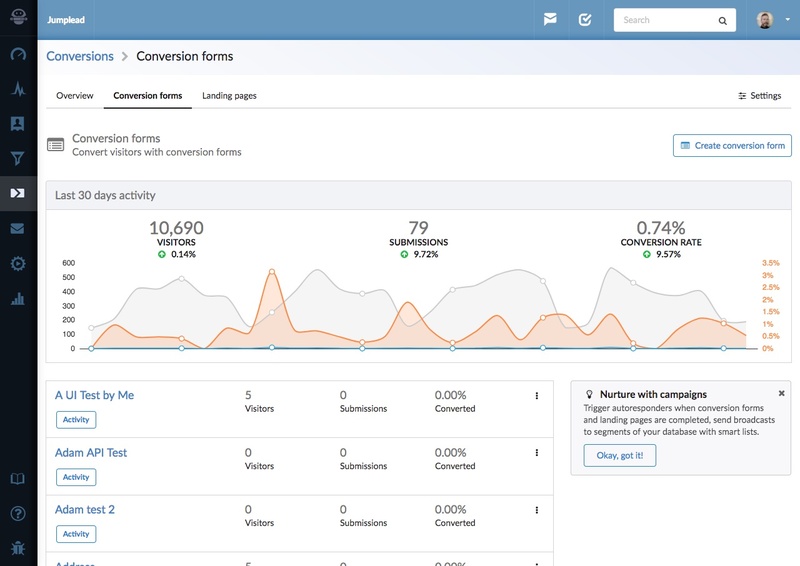 When someone actually converts on your landing page you'll want to do a couple of things behind the scenes, firstly add them to a CRM or contact management system to store their details, secondly you might want to trigger a follow up activity that sends some emails over time (an email autoresponder). This will help to keep them engaged and coming back for more. 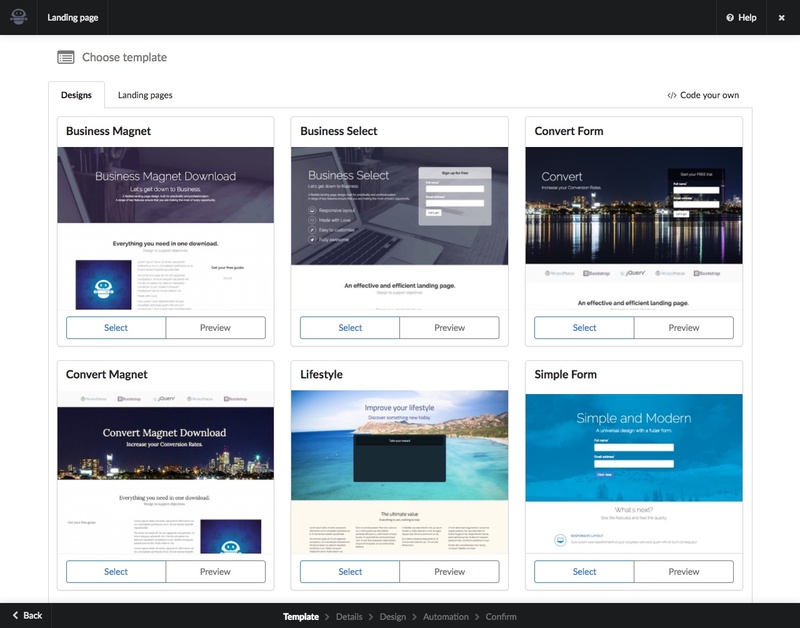 Conversion forms are a super flexible way to generate leads on any page of your website, add a form to encourage visitors to sign up for an email sequence, to download a PDF, to sign up for a webinar. Whatever you think will appeal to your visitors. Essentially you can create a stand alone web form to add to any page on your existing website or blog and turn it into a landing page. If you have certain pages that you know are popular you might want to drop a specific offer into them and turn them into a landing page. 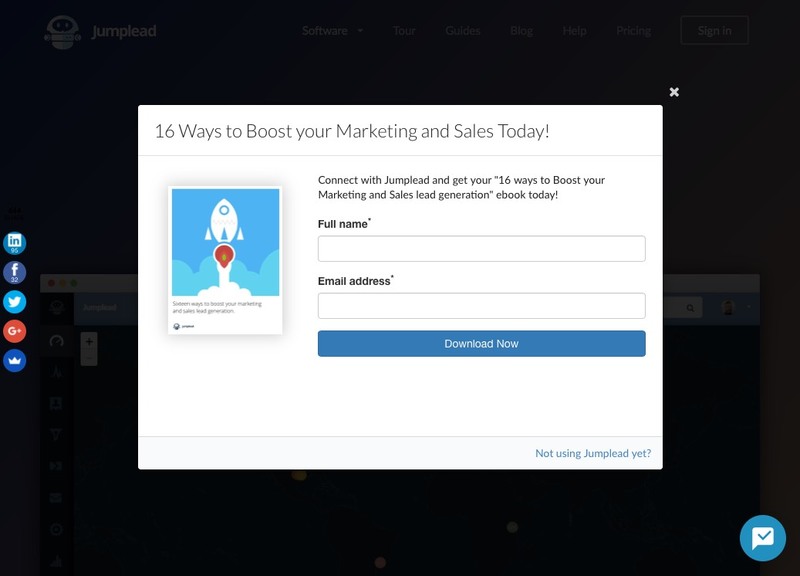 Marketing automation software such as Jumplead will allow you to create many conversion forms and add them to the pages on your website or blog. Tracking their performance and triggering automations to start follow up email campaigns and adding contacts into the system. Live chat can provide another opportunity for you to convert website visitors into leads. 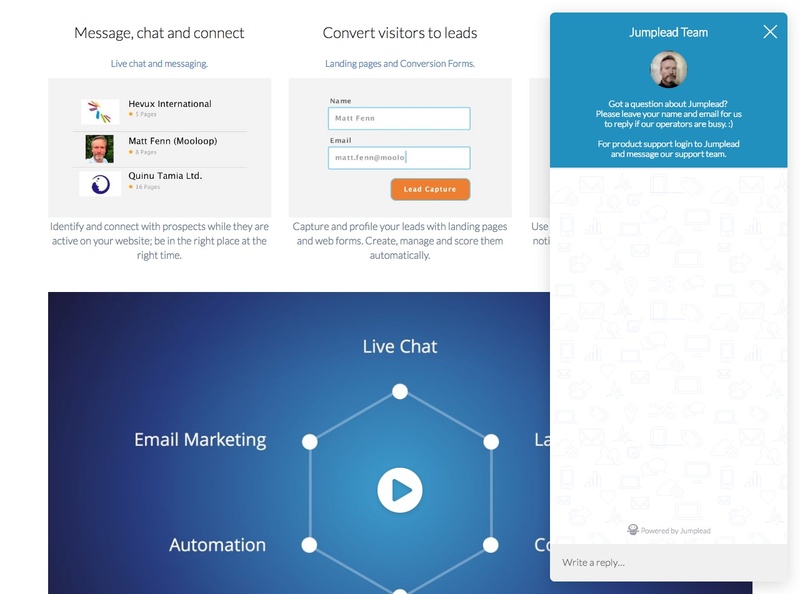 It allows you connect with your visitors when the time is right for them, and chat software such as Jumplead will automatically save conversations to your lead's profile page. Exit popup offers are a great way to turn a visitor that was about to leave into a new lead. They can be a bit irritating if done badly, but they do offer a very effective mechanism for lead generation. Particularly if you can get the offer right for your visitors. We use them on the Jumplead website and blog, with a product based marketing tips PDF on the website and the option to subscribe for article updates on the blog.